Having thick hair is all fun and games until your ponytails constantly start breaking and your shower gets so clogged you no longer can use it. There are a lot of things to love about long, luscious locks, but sometimes they can just simply be overwhelming at best. So what better to do than to get out the shears (or, more importantly, let your stylist get out their shears) and chop off that hair! But to do that you definitely need to have an idea of what perfect short hairstyle would work for you, right? Right! 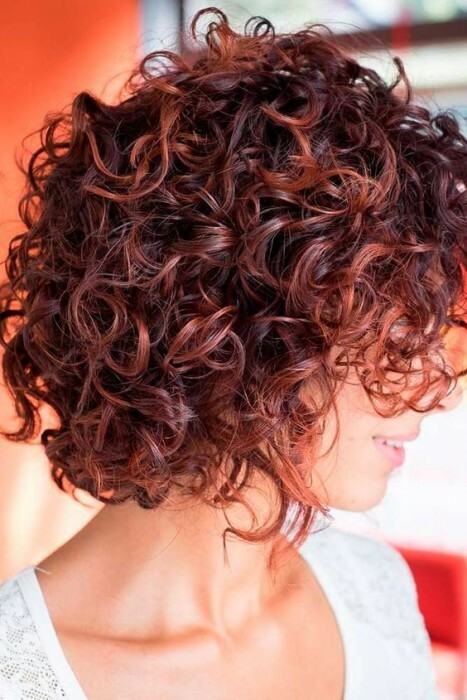 Which is why we have done you a huge favor by compiling a list of the 50 absolute best short hairsyles for thick hair! By the end you will certainly find yourself in love with one or more of these fabulous styles! Take a look below to get started on your search for the perfect hairdo. This is a great hairstyle for thicker hair. 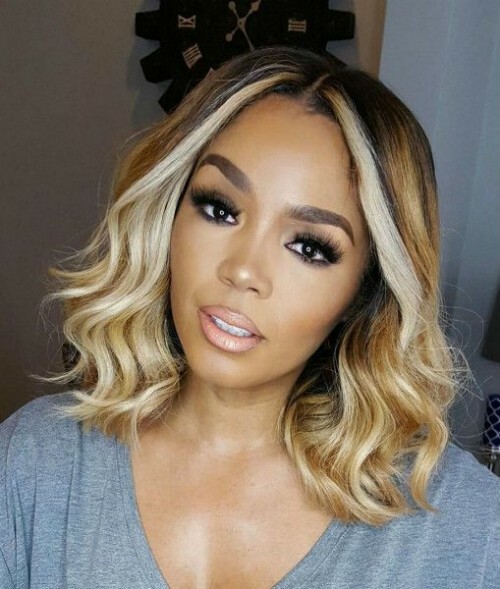 Lobs are great for making voluminous hair look structured and beautiful. We love the red highlights, too. They tend to give your look a little more sass. 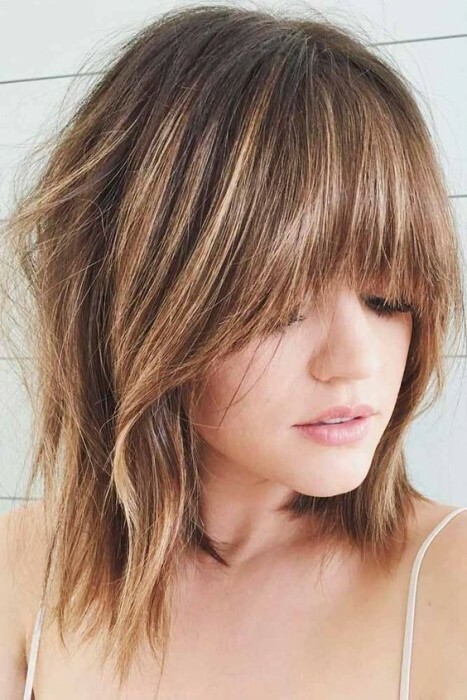 Bangs are a great way to help thin out some of your hair! They get rid of a lot towards the front. Waves will add only good to this look by giving each strand of your thick, unruly hair a place to fall in line. The side undercut is a great way to chop off all that excess, unwanted hair that you’ve been carrying heavily on your head. 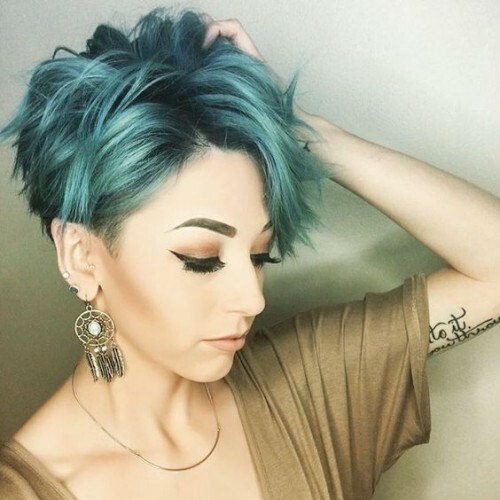 It’s also a pretty bold, yet gorgeous look for anyone willing to try something new! 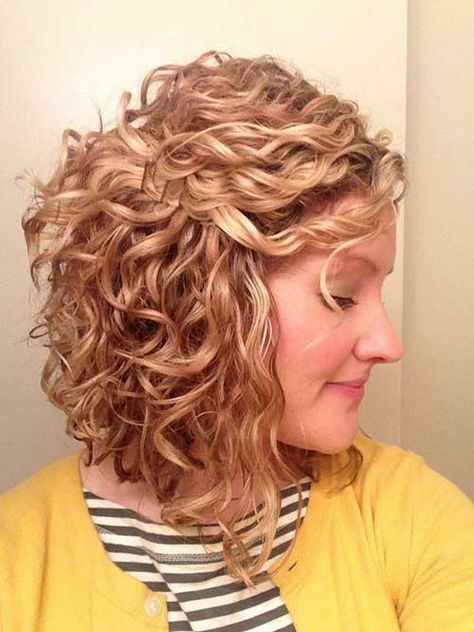 What’s a better way to show off beautiful, thick hair than by doing these simple curls? Not much! 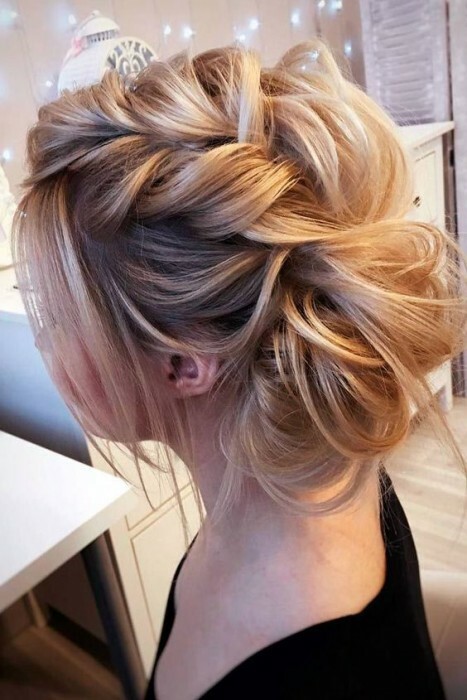 We think that this elegant hairstyle is perfect to make you proud of your thick locks. It works for any occasion from formal to casual, too. It isn’t always the easiest to make thick hair into something tame and stunning. But with hairstyles for thick hair such as these it is easier than ever. 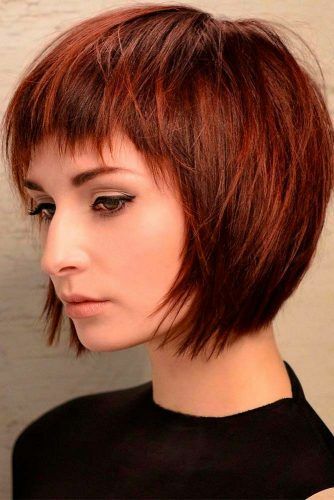 This simple lob with cute side swept bangs is a favorite with those voluminous locks. This is especially a perfect style to sport when fall is around the corner. The chocolate scheme will bring out the depth of having thick hair and make it look all that more delicious to look at! Let your inner rockstar out and about with this chic hairstyle that is perfect for thick hair all around. This gets rid of the heaviness on your head, but also makes you look like a whole new person! No better way to make your thick hair look just a little thinner than by dividing up the colors. This will give it the right kind of depth. It is also a very high fashion look to sport. We adore it in every way! Curls, curls and more curls! 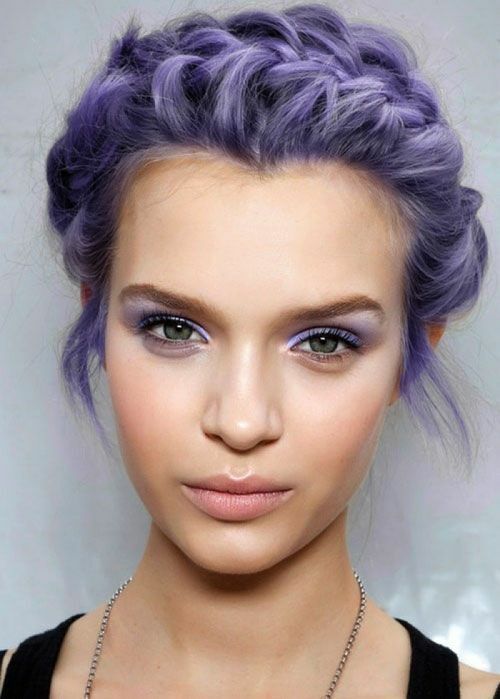 We love this type of hairstyle when it comes to your epic battle with puffier hair! It tames it in a stylish, beautiful way. 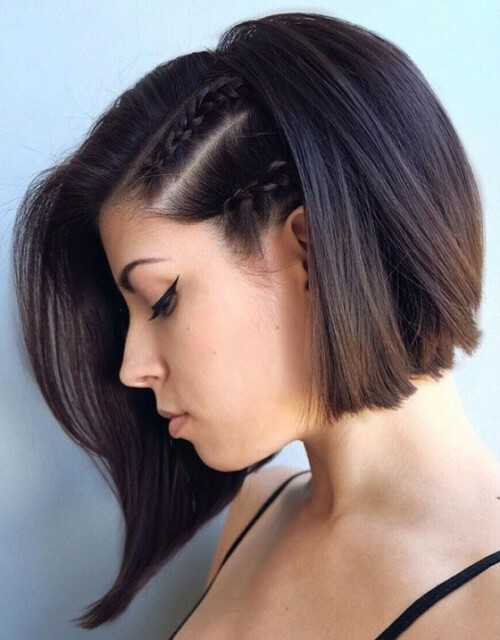 This is great if you already have a plan to chop your locks off into a bob. An amazingly sophisticated look for denser hair would be this brushed back waves. It will certainly help to get all of that hair out of your face! It is the perfect hairstyle if you are going for a softer look! 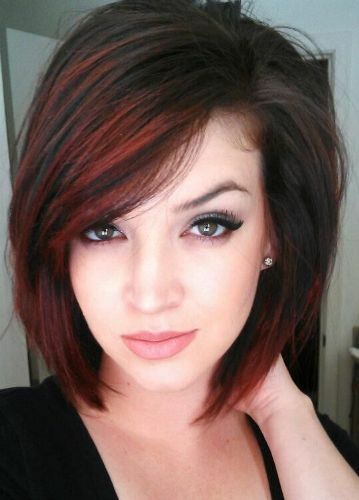 Red is a great way to turn your heavy hair into something worthwhile! 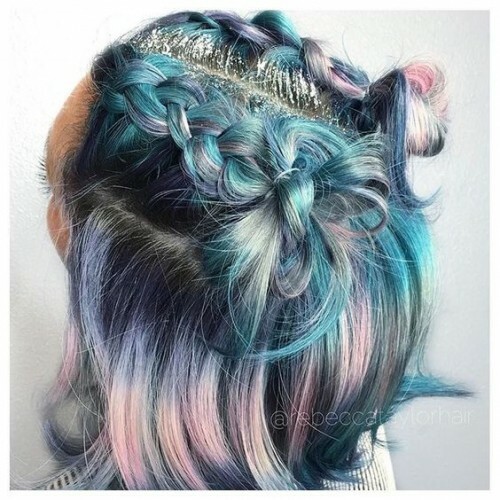 This hairstyle will definitely give your entire look a little flair! 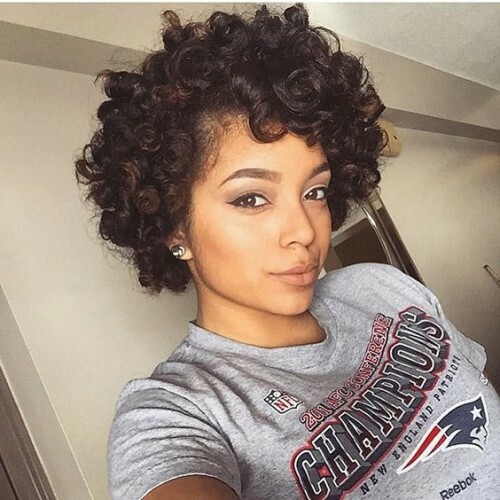 Tight curls are a great way to keep all of that hair picture perfect. Keeping thick hair short and beautiful can be hard. However, this simple style keeps things looking fresh but sleek. You will be looking good for business, casual and everything there is in between. Dirty roots are all the rage nowadays. It is a very trendy style that gives your hair the look you may have been searching for this entire time. We also love the texture layers on this look to keep your hair thinned out. 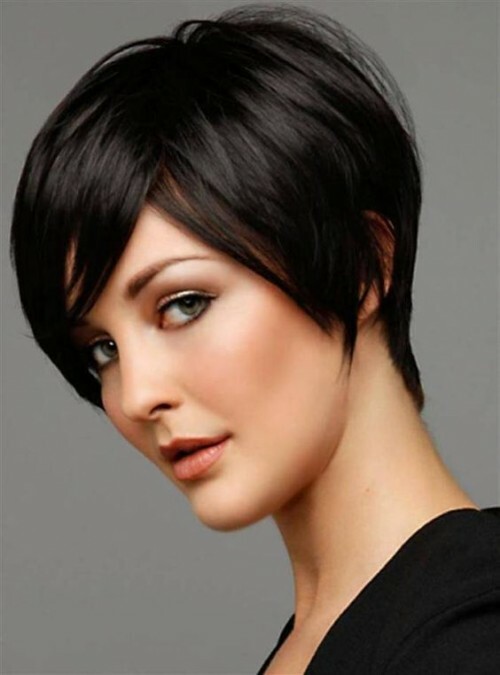 Pixie cuts are a great way to take care of all that hefty hair. We know that the thought of chopping off your precious locks can be frightening. So we suggest keeping some of that thickness in the front by having long bangs. Bright colors are a great way to give some fierceness to your hair! 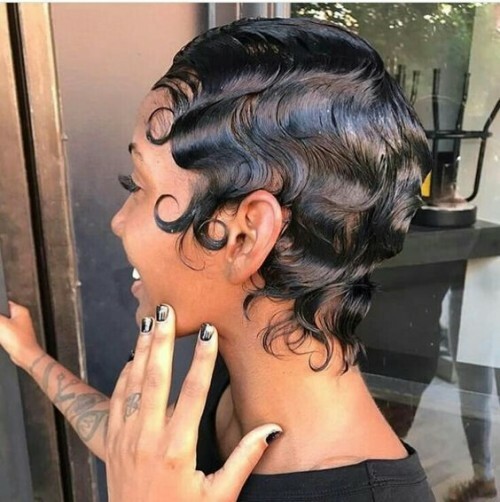 Thick hair can no longer be a problem when you cut it short and give it this bobby pin curl look! Very 1920s mixed with modernism! 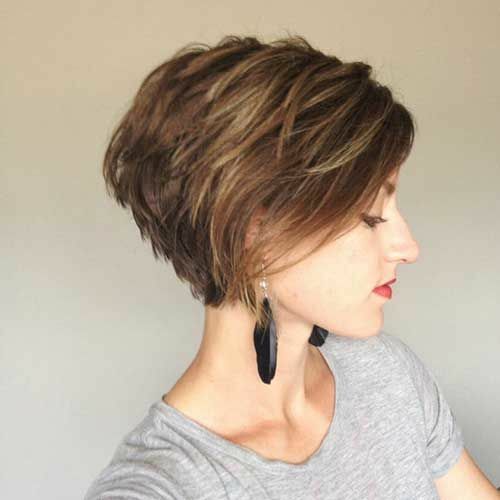 Thickness can be used to your advantage with this short hairstyle. You can play on the lusciousness by keeping the density as before. But cutting your hair this short will help lift some of the weight burden off of your shoulders. 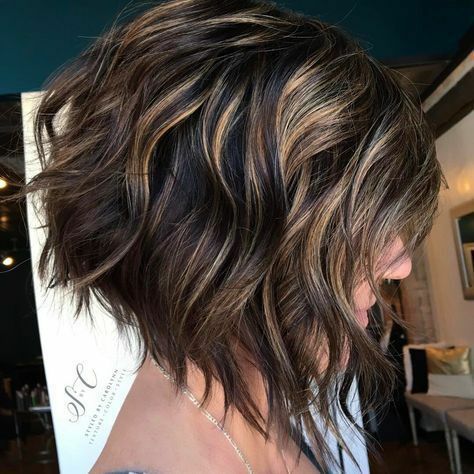 Balayage is a great technique used to blend several colors you choose to put in your hair beautifully. It creates the right kind of depth for thick hair to make it more stylish than ever! Round up all the mop on the top of your head by placing those strands neatly in this very stylish braid. It’s perfect for people who have short, thick hair. It’s a great summer look, too! This look is a breath of fresh air if you ask us! 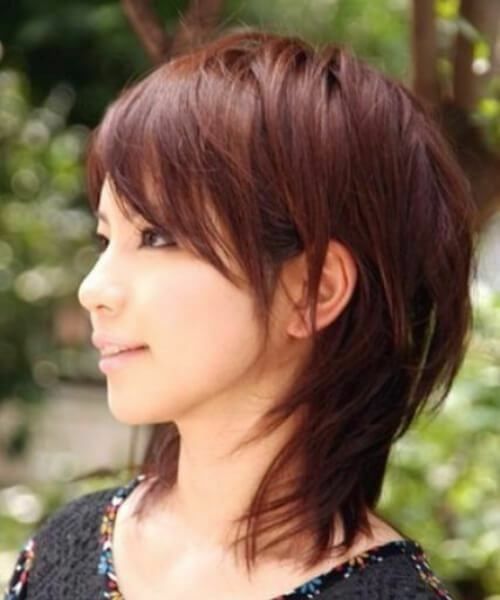 It’s a perfect hairstyle for shorter thicker hair. It keeps things looking lighter than they really are! This is a great color if you want to step outside the box, but not too much. 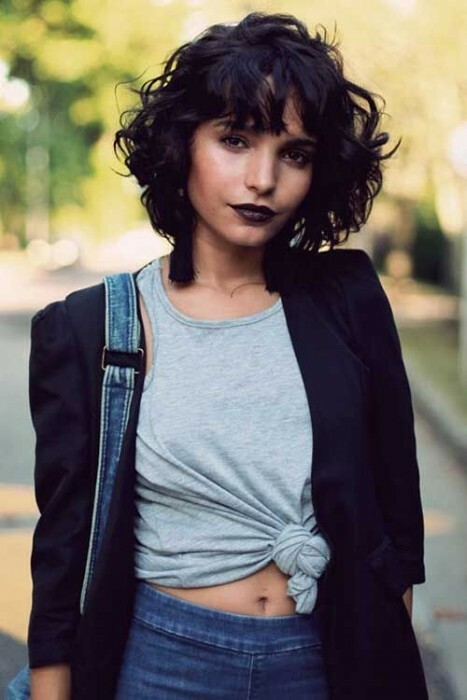 Short bangs are a perfect solution to all your thick hair troubles. 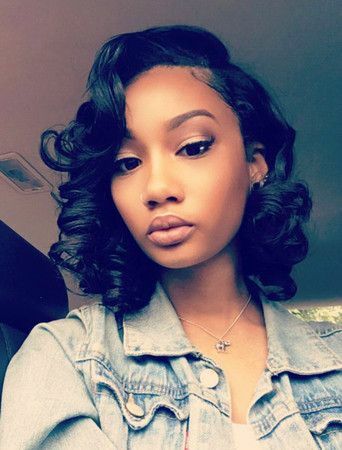 You can get rid of some of that heavy hair in the front, but keep the length decent with these pretty curls! You don’t have to hide your voluminous locks by any means. You can just take all their glory and show them off. Such as you would do if you were to sport this chic style. 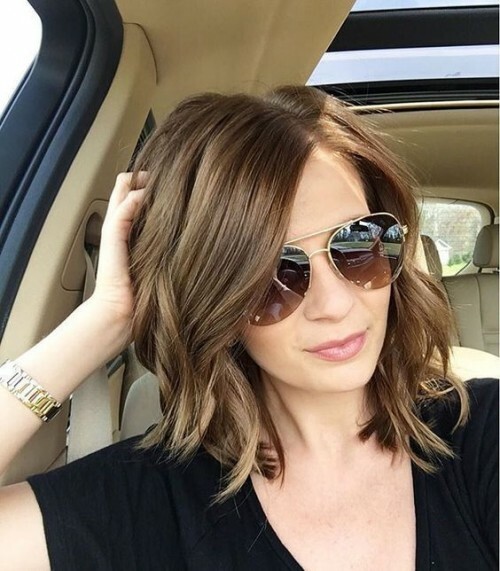 Blunt bobs are the absolute most perfect cut for thick hair! They really give it the look most people desire. Adding in some textured cut is a great way to thin out your hair just a little bit and keep it trendy. Softer layers are a brilliant way to accentuate your shorter, thicker hair. They make it seem very sophisticated. 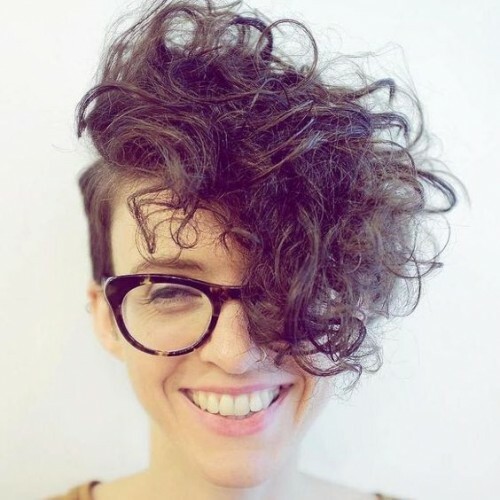 This is a great cut and style to have any time of the year. Choppy does not by any means have to equal messy. 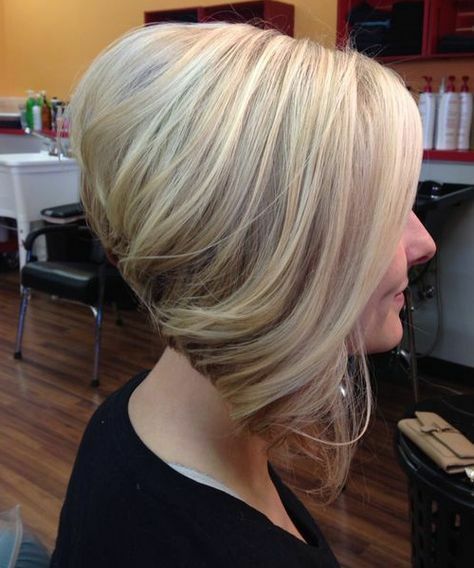 With this sleek, sophisticated cut and style you will be feeling like a million bucks wherever you go! You will surely turn heads. Thick hair is not always a curse. It can definitely be a blessing! Why would we say that? Well, just look at this hairstyle and tell us that you wouldn’t love the way that it looks! Sick of all that heavy hair in your face? 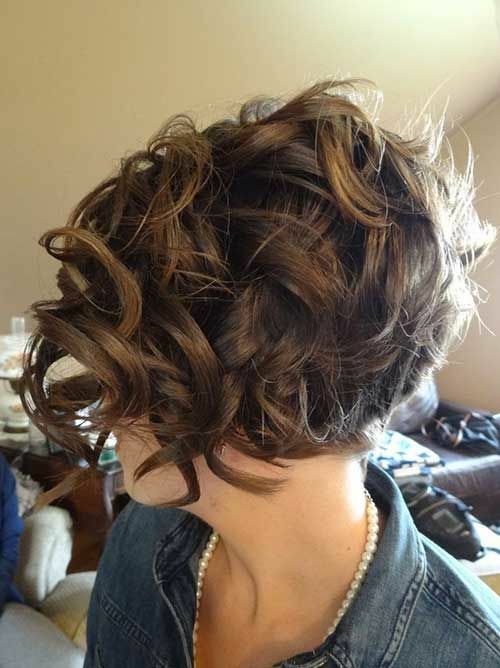 It will definitely not be a problem any longer with this cute hairstyle for short, thick hair. 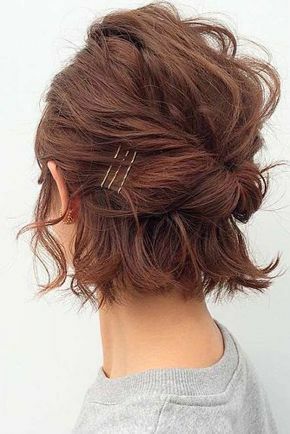 This pinned back bun is perfect when you want to look your best. Have you ever seen such an elegant looking messy bun in your life!? We highly doubt it. This is a great look for work or for going out. We love the way it makes thick hair look! Getting crazy is always fun when it comes to your hair! If you are looking for something with a little zest then we have the perfect hairstyle for you! 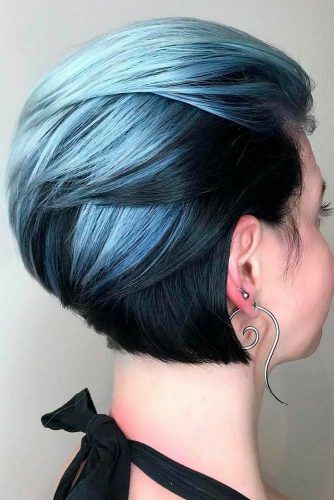 This blue and black layered short cut is perfect for just that. These cute simple crown braids will add beauty to your already beautiful, thick hair! It will definitely become a style that makes you feel like a princess whenever you wear it. 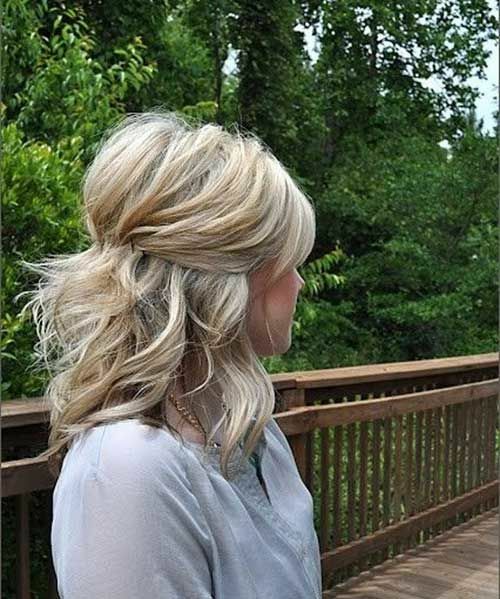 This wavy long bob is a perfect way to wear your dense locks! It will give it just the right amount of oomph that you are looking for, but still make you feel prettier than ever. Mermaid anything was all the rage for the strange year of 2017. Why? Because it’s beautiful! Especially when you throw some glitter on there. This mystical look will have you feel one hundred percent all of the time. So maybe you don’t want to braid up all your hair and still show off those hefty strands. So instead we suggest two tiny braids on the side! How pretty is that?! 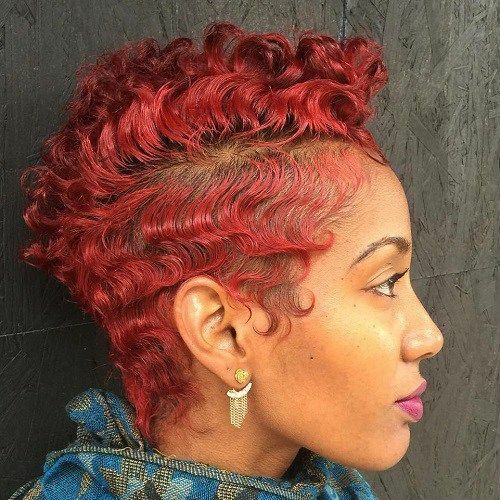 Thick hairstyles aren’t easy to come across, but styles like these give us hope. All Over Braids are a magnificent way to rassle those tough locks into place. A sleek, sophisticated look for thicker hair are these pulled back buns. They give a neat appearance to unruly hair of all kind. Thick hair will be no match for you will styles like this one. Straight edge bangs give a little attitude to your thick hair making it seem sassy! We love these bangs especially on a longer type bob. It gives an older style a fresher point of view! A great way to tackle heavier hair is by pinning half of it up. It keeps it out of your face, yet still looks ultimately stylish. This elegant look will have you feeling like you are on the red carpet… Even if you’re just lounging around. Like we mentioned above, a half pinned back look is never a bad idea when it comes to thicker hair. Curls will also help bring a bouncy gorgeous look together and have you looking sexier than ever. Short hair can be timeless if you know how to do it the right way. These 1920s bobby pin curls are to die for! And you’ll never be able to tell you had outrageously thick hair at all. Wavy hair is a great way to disguise thick hair into something much more magical than it really is. 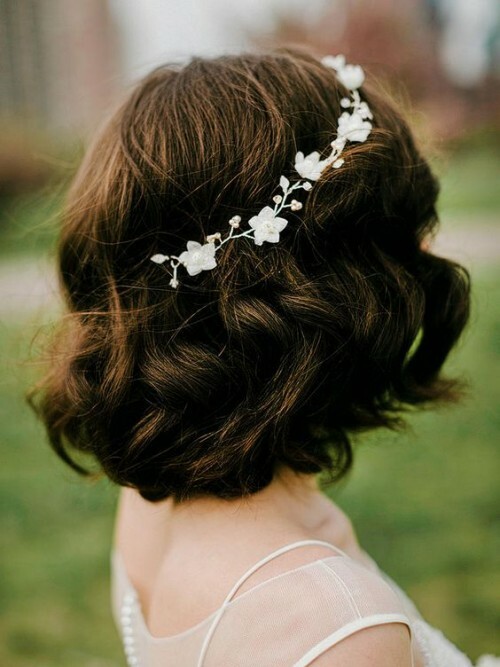 Top off the hairstyle with a beautiful flower crown to feel like a princess. 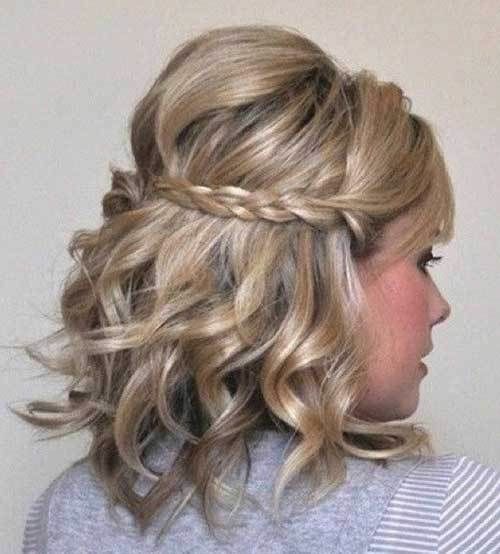 We absolutely adore this hairstyle when it comes to figuring out what to do with your thick hair. This creates a stylish look while lifting some,of that weight off of your head. Half ponies help take some of that thick hair and tuck it away nicely. But they also let you still show off your gorgeous hair on the bottom half. A high pony is one of the trendiest looks of the year! You can shift some of your thickness to one side by creating this lush, deep side part for your long bangs. It will be a fashion statement you surely won’t regret making! If you don’t like the weight distribution of putting most of your hair to one side them you can try a deep middle part. These have made a fierce come back recently! Textured layers help thin out your thick hair and give it a great edge! We all kno0pw thick hair can be a burden by making us really feel the heat on top. But with this hairstyle there will be no more sweating buckets in the heat with this look! Getting those locks out of your face is key when it comes to the outdoors and having thicker hair! We love this look for thicker hair. Incorporating waves is always a grand idea, too! What could possibly lighten up thick hair more than by actually lightening it?! Not much. 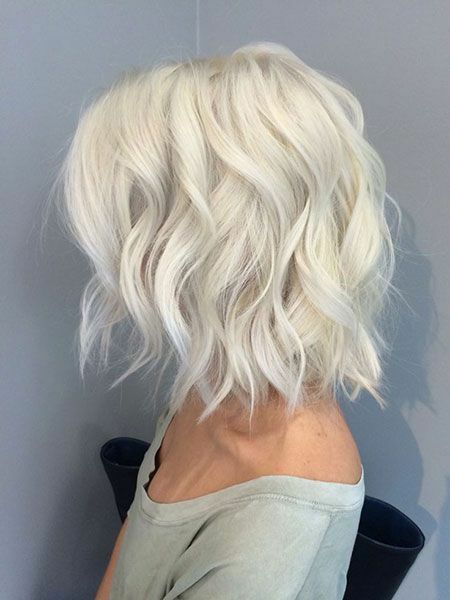 Going platinum blonde will definitely make your hair appear less dense, but give it the style factor you are looking for. It is totally understandable if you don’t want to completely bleach the heck out of your hair. Instead you can try something much simpler. 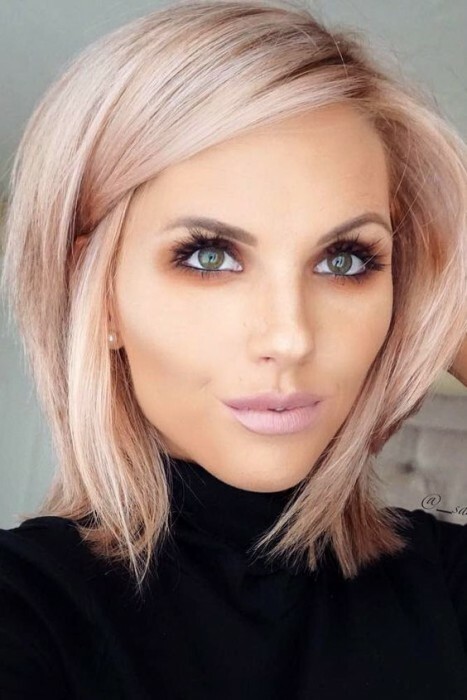 Such as a bob with blonde lowlights! Contrary to prior belief, pixie cuts are not as boyish as they seem. They actually hold a fair amount of femininity in them that truly makes them appealing. And they help to solve your thick hair problems in a jiffy. 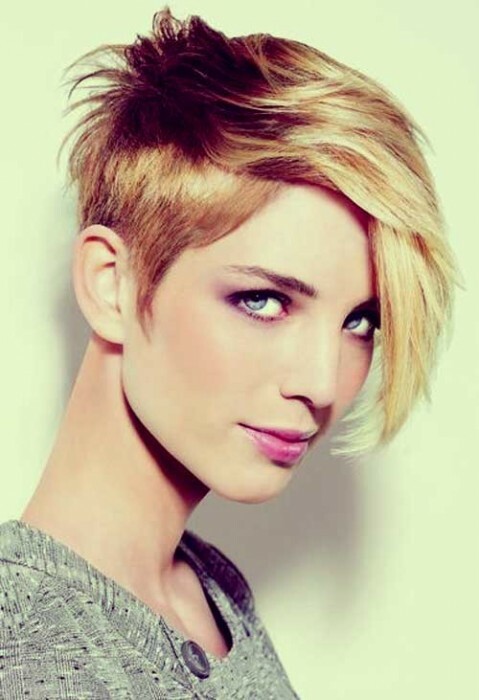 Or you could put a spin on a classic pixie cut by adding a faux hawk towards the top! This is a great way to remind the world that you have thick, beautiful hair… Without it actually being a problem at all. 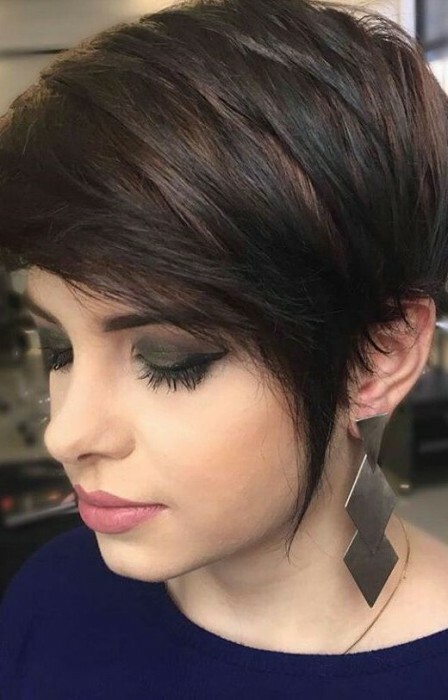 A longer pixie cut for thick hair is a great idea! You will look mature and classy, but you won’t have to deal with tendrils of hair in your face anymore. 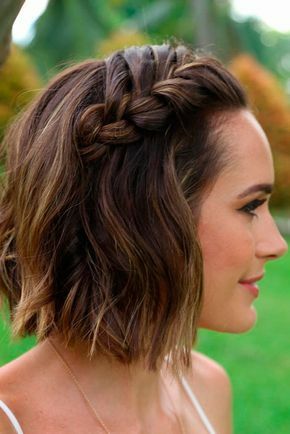 We think this is a win-win hairstyle for sure. Highlights are the perfect way to help hide just how dense your hair truly is! We love this sleek look for anytime of the year. And no matter what you are doing you will always look fresh and ready!